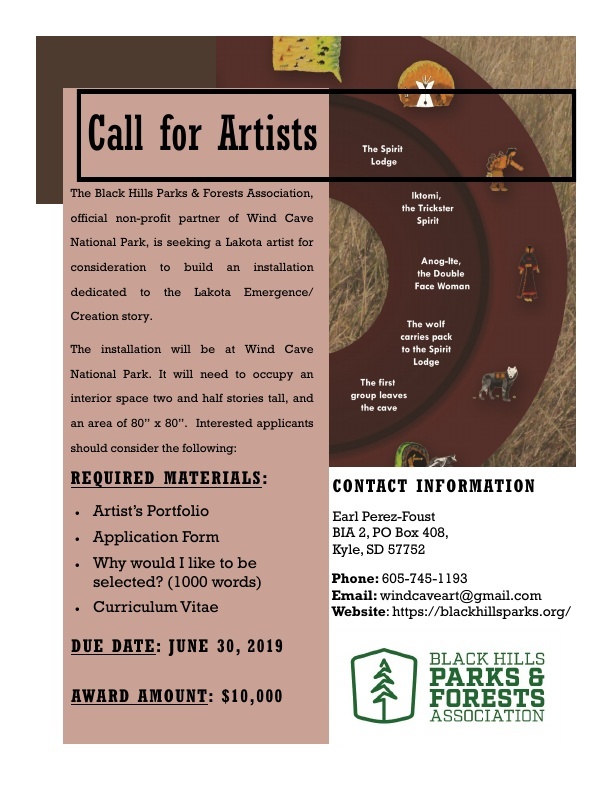 BHPFA is proud to partner with Wind Cave National Park in commissioning a Lakota affiliated artist to design an art installation. The selected piece will be prominently displayed in the Wind Cave Visitor Center. Please follow the links above to see full project description and project application form.